I can verify firsthand that Blogmas is in fact a huge undertaking. It is a commitment that requires great organizational and time management skills. Frankly, keeping up with that for 25 days straight is draining on top of other daily happenings. Intimidated by this task? Don't be because there is an alternative that requires only half the work; The 12 Days of Blogmas. Only from December 13th-25th would you post. Ideally I should have posted this a few days ago in case anyone would be interested in trying it this year... clearly I need to work on my organizational skills. Feel free to still follow along the guide I've made, even a few days late, or bookmark it and already start planning for next year! Day 1: Christmas tree "tour"
Day 12: It’s Christmas! Post a cozy snap in your pjs, or of all the gifts that Santa left under the tree, then get off your computer & be with family! If you're doing Blogmas, how's it going for you? 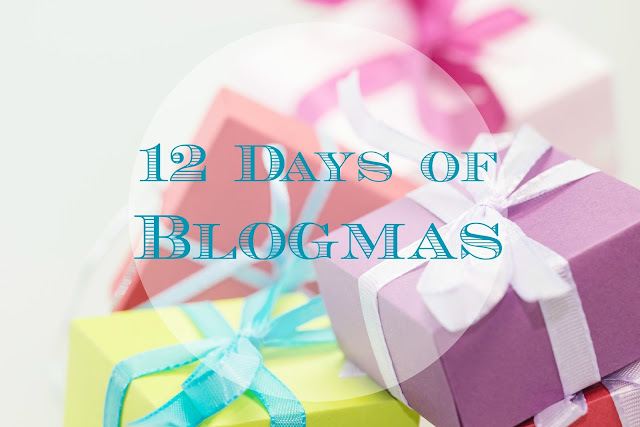 To anyone else, will you be doing the 12 Days of Blogmas? Looking forward to reading all of your Christmassy posts!